What happens in Vegas, stays in Vegas, but this is an experience I'd want to share! It sounds like it'd be amazing. The ($30 million) swimming pool includes a 200,000 gallon shark tank, waterfalls, a three-story waterslide, a poolside bar and seven private cabanas, each with plasma TVs and refrigerators. While you don't actually swim with the sharks, you swim right next to them -- five species of sharks plus game fish. You can take a virtual tour of the Golden Nugget hotel on their website. If I had $30 million, this is exactly what i will build in my house. Lol, I'd probably do the same! This looks pretty legit. What kind of sharks did they have in there (if any)? 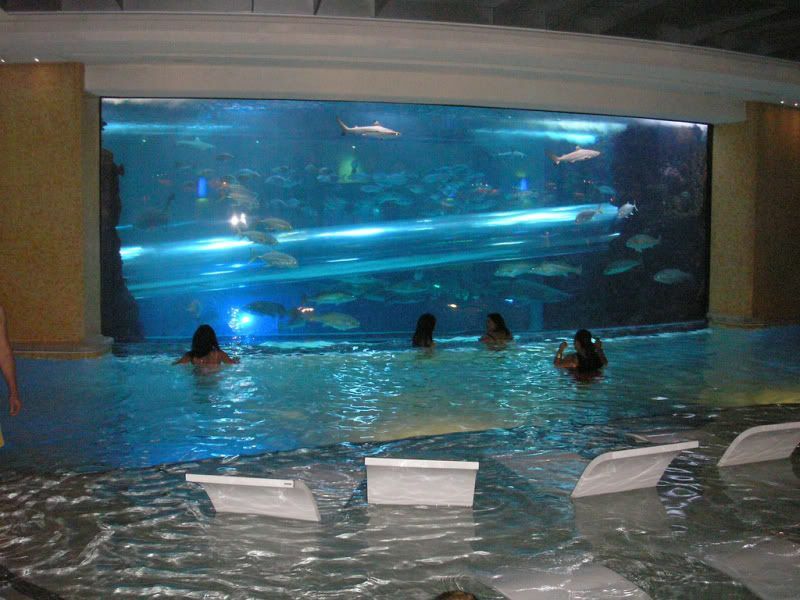 I've never wanted to go to Vegas, but a pool like that just might tempt me. How cool!